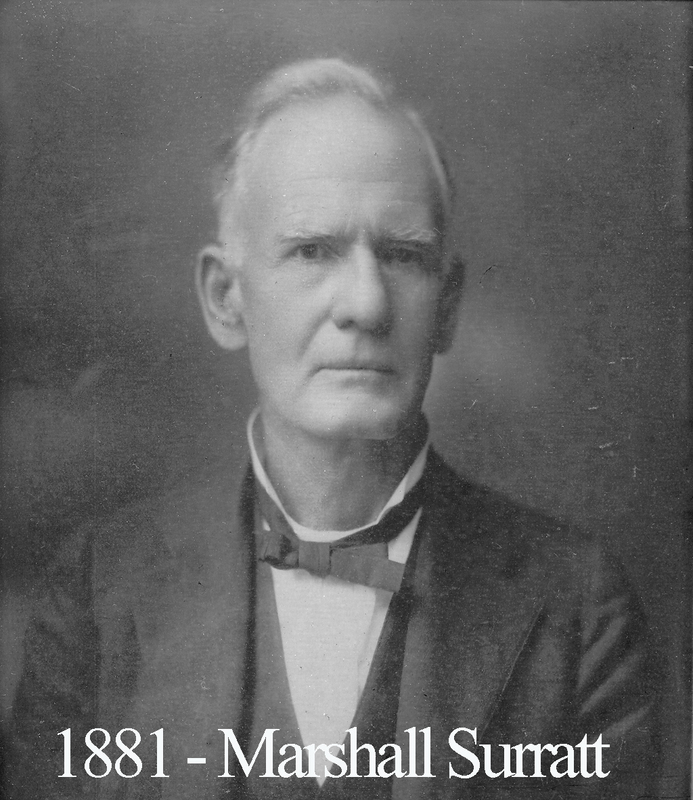 Marshall Surratt was born in Panola County, Texas on June 4, 1849. He went to school in Gilmer and was tutored by Oran M. Roberts, who went on to be Governor. Surratt practiced law in San Augustine from 1870 until 1874 when he moved to Waco. The citizens of Waco made him their district judge and he served in that capacity for most of his life. In 1885, he purchased 53 lots of land in Cochran County where he never lived but the area came to be known as the Surratt Territory. presented with a past master’s jewel by Alva Bryan. Six years later, he presided over a grand ceremony attended by 500 masons who all came to see the revealing of contents hidden inside an 1875 cornerstone from the Masonic Temple which burned in 1909. Brother Surratt died in his home at 1323 Washington.